I love a good makeover. The kind where the plain girl who’s been quietly going through life half hoping no one ever notices her, half hoping that someday will be her day to be transformed and swept off her feet by the handsome football player, or maybe Prince Charming himself! That was kind of like the Stratford Mirror by Wayfair. 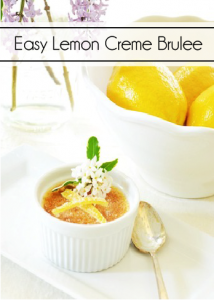 It was sweet and simple but needed a little oomph! a little vavavoom! One to never turn down a DIY Challenge, I accepted the offer from Wayfair and HomeTalk to makeover this plain mirror into a coastal beauty! 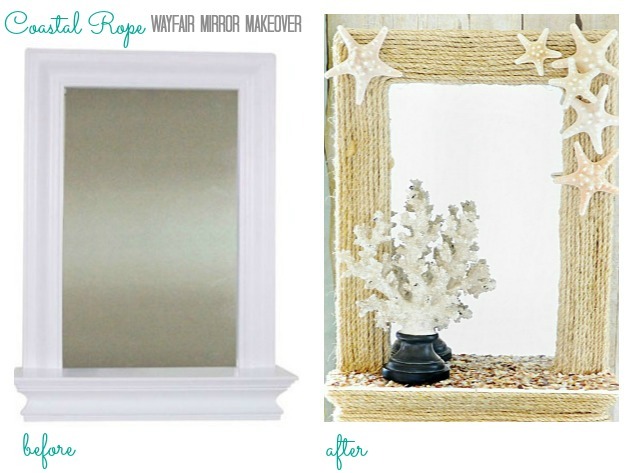 This mirror makeover couldn’t be easier! The most difficult part is sitting for a few hours gluing rope around and around in circles. The key is to keep your rope tight and even, trimming it off at the end and then looping back around with a new row. After rope is applied, attach starfish using hot glue. Heavily coat shelf ledge with mod podge and layer with sea shell filler. Allow to dry. I really love how this turned out and I have the perfect spot for it in my Coastal Powder Room. 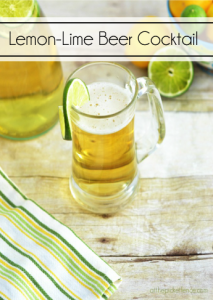 It puts me in the mood for hot summer days and the beach! 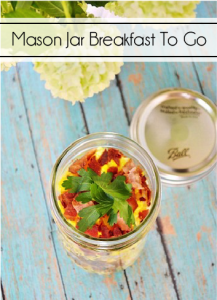 A big thank you to Wayfair and Hometalk for including me in the DIY Challenge! Be sure to check out Wayfair for tons of fabulous home decor and HomeTalk for tons of fabulous home inspiration! 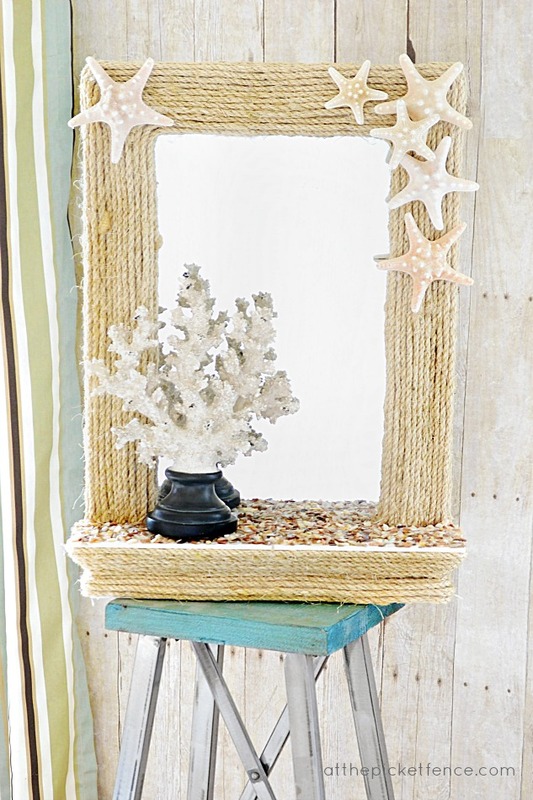 Are you looking for some more fabulous coastal decorating ideas? 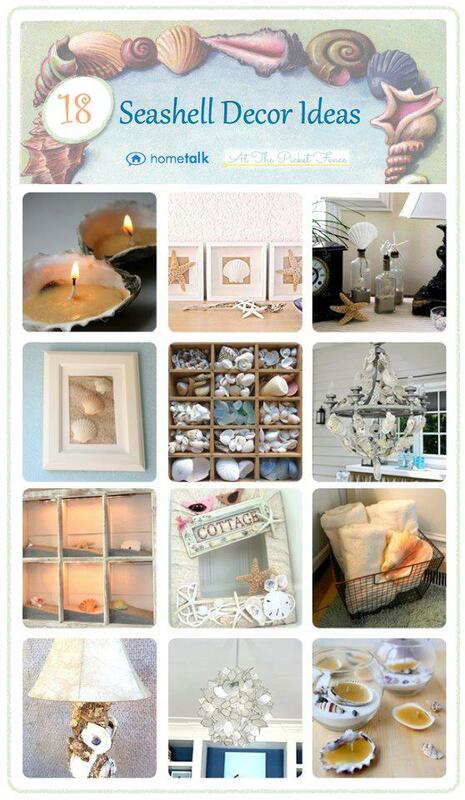 I’d love you to check out our fabulous round up of Sea Shell Decor Ideas over on HomeTalk! Don’t forget about enter our fabulous “The Moment” Giveaway going on right now worth over $250.00!! We’d also love to invite you to join us over at Cedar Hill Ranch, where Vanessa is hanging out with our friend Anita On The Back Porch! 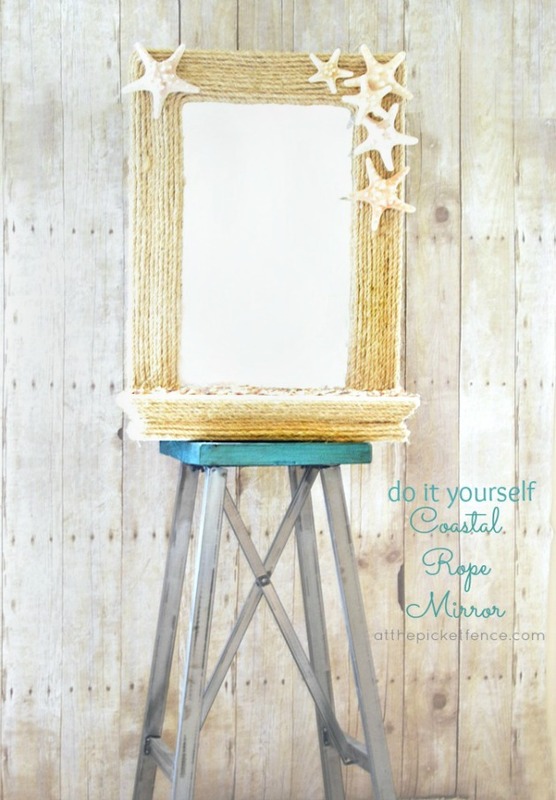 35 Comments on "DIY Coastal Rope Mirror Makeover Challenge"
I love your mirror! I did something very similar, although I didn’t add starfish. They make it look so cute! Noiw that is definitely not a wallflower…hehe..she has truly blossomed! Love the beachy theme and the rope is fabulous! GreAT JOB! Beautiful! Sharing on my FB page! Pinning too! Hey! I did the same mirror! And I used Mod Podge too! Totally different outcome though, don’t worry. 🙂 I love your Summer-tastic mirror. Now get me to a beach, quick! Love this!!!! I am a firm believer that anything looks much cuter with starfish on it! It turned out great, Heather! I’ve fallen in love lately with using rope to embellish anything I can get my hands on! What a fun, summery makeover! I love the rope! This looks amazing! I’m never going to have a beach house but I can sure dream and add a few accessories to my home. Such a lovely makeover Heather! I really love what you did here! Great idea. I bought a huge ornate mirror from a family estate sale last fall. The ornate trim is in a lot worse shape than I thought and have been racking my brain on how to salvage this piece. This is it!! One thing… when attaching the rope to you start on the outside and work towards the middle or vice versa? Congratulations on your winning! This certainly is a fabulous mirror. So easy and with a big beachy inpact! Very happy for you! You are one talented girl! So beautiful & rustic. Love this. Thanks. Love it!!! Where did you get the starfish? Wish I had one of those mirrors but I’ll make due with what I have handy in house. Your mirror is so incredible, love all layers used to make it so beachy. Who doesn’t love beachy? Even if it’s not beachy season this mirror will look so great in any room. Awesome inspiration, pinning this. 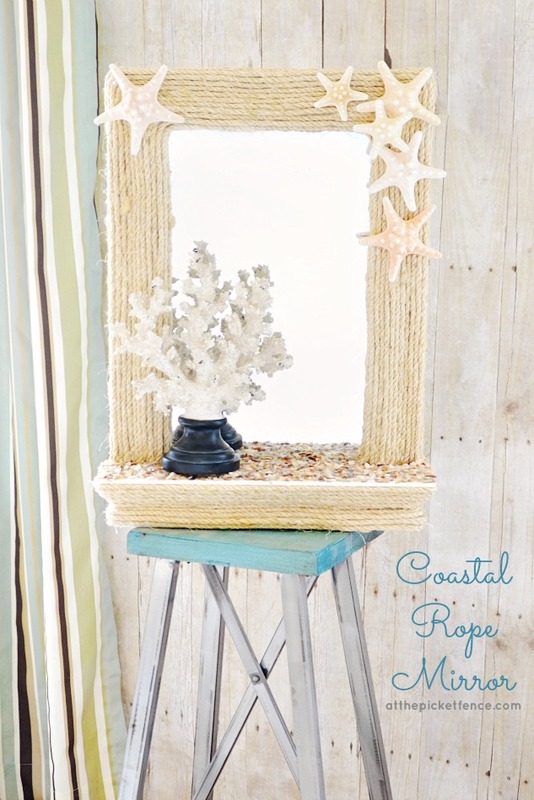 I just wanted to thank you for sharing the beautiful coastal rope mirror! You helped me complete a project of my own. 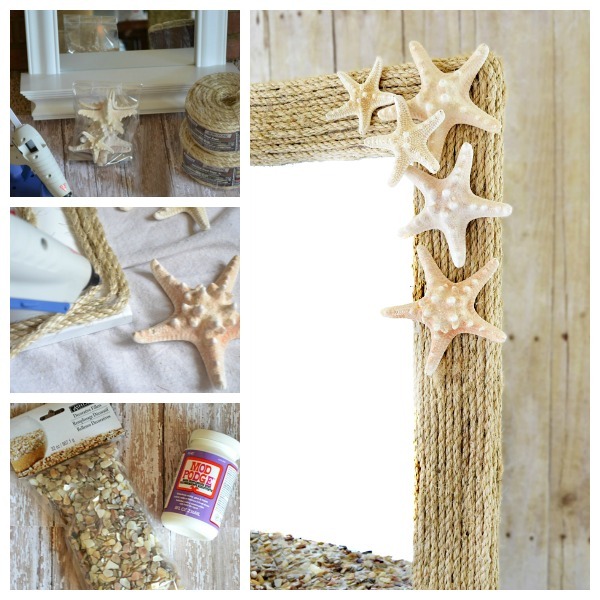 I really love this mirror,I am most absolutely in love with beach theme decor and I would love to make this to display in my home!